I’ve been wanting to write this post for a week now. Had a crazy busy week with lots of good stuff going on! Taxes are done. Yay! Landed a HUGE client, submitted a large proposal and am working on another one with Day Job. The kid started his first ‘real’ job since graduating from college last May. AND I’ve been sewing up a storm. Can’t wait to show you my latest project. But first I have to tell you about the fantastic time we had last Friday night in Troy. Our friends Don and Jyll treated us to a fun night out. We started our evening with cocktails and dinner at The Shop and then enjoyed the Irish band Altan at Troy Music Hall. 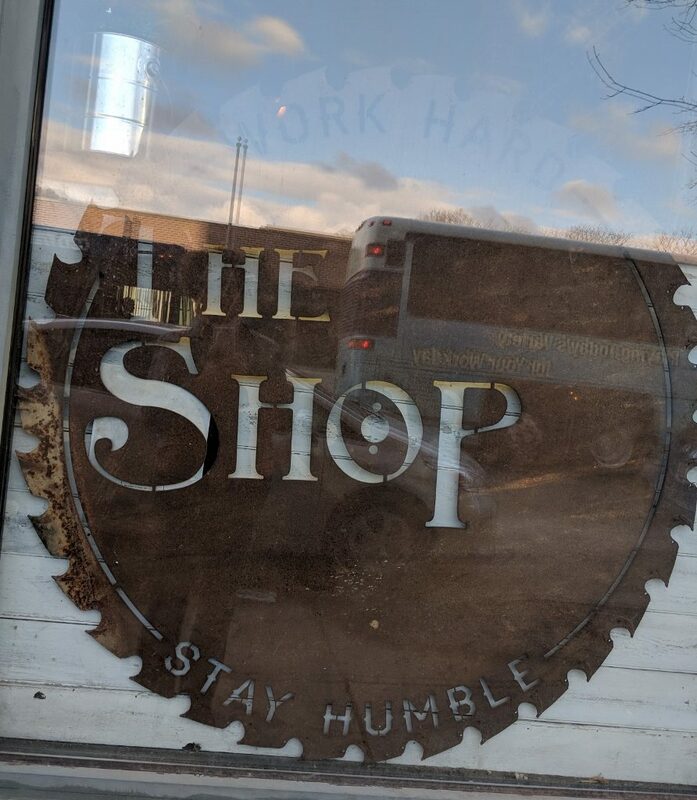 The atmosphere is what I’d call urban casual. Devotees of street wear and hipsters will definitely feel at home here. We got there at 5:30 – a little early but we were headed to a concert and didn’t want to feel rushed. 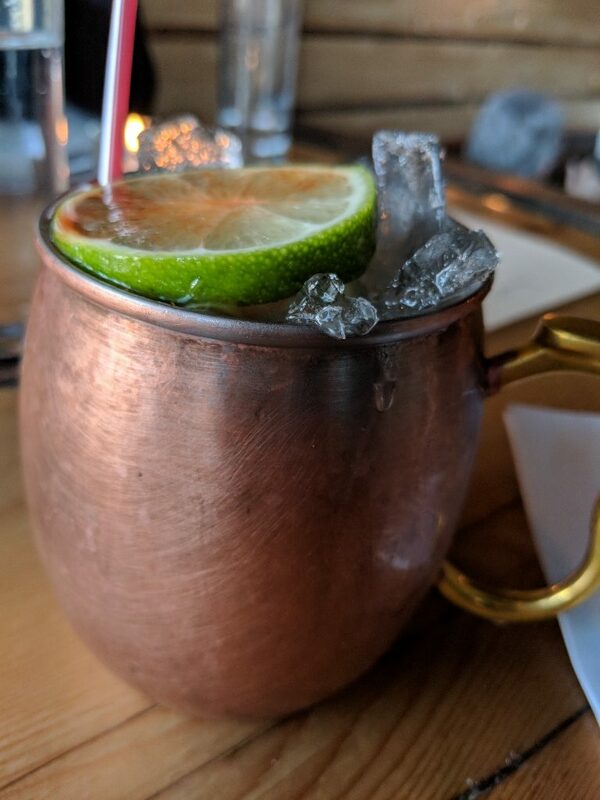 I started off with a Moscow Mule made with ginger beer, vodka, fresh lime juice and a little bitters on top of the lime slice served in the classic copper mule mug. Full disclosure – I had TWO. They were that delicious! Next up. Appetizers. 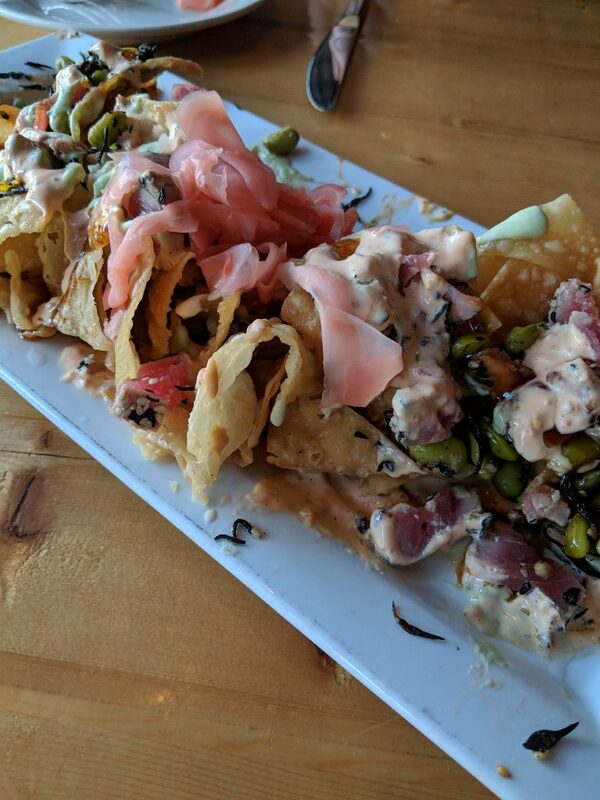 Don strongly suggested the Sashimi Nachos. Oh man! Super crispy won ton chips topped with ahi tuna, edamame & wakame seaweed salad, pickled ginger, wasabi, sweet soy & spicy mayo. The portion is HUGE!!! Plenty for the four of us to share. When these came to the table we all just started digging into them. I totally forgot to take a pic until we’d mowed down about a quarter of them. HUGE portion! 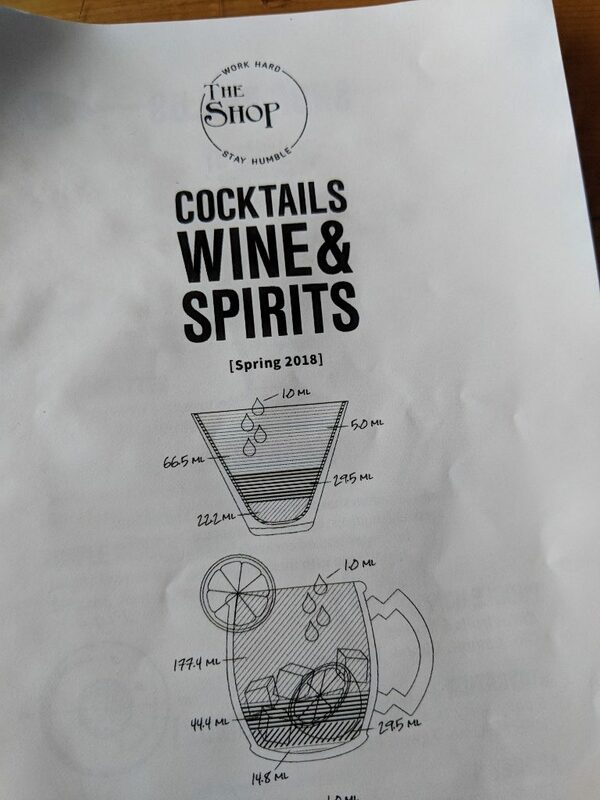 The menu truly has something for everyone including vegetarian options and is divided into sections – Greens, Appetizers, From The Streets, Sandwiches, Poutine and Modern Classics. 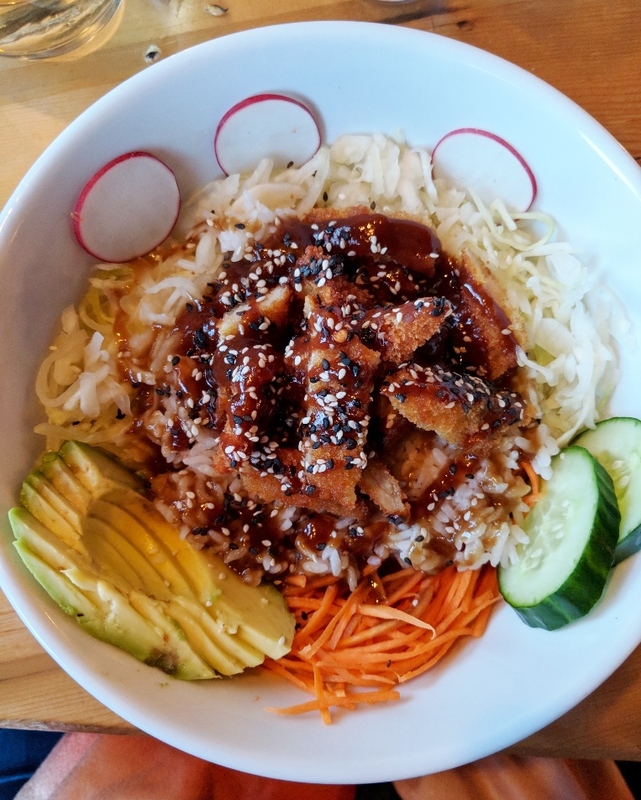 Already stuffed, I opted to go with the Japanese Rice Bowl. 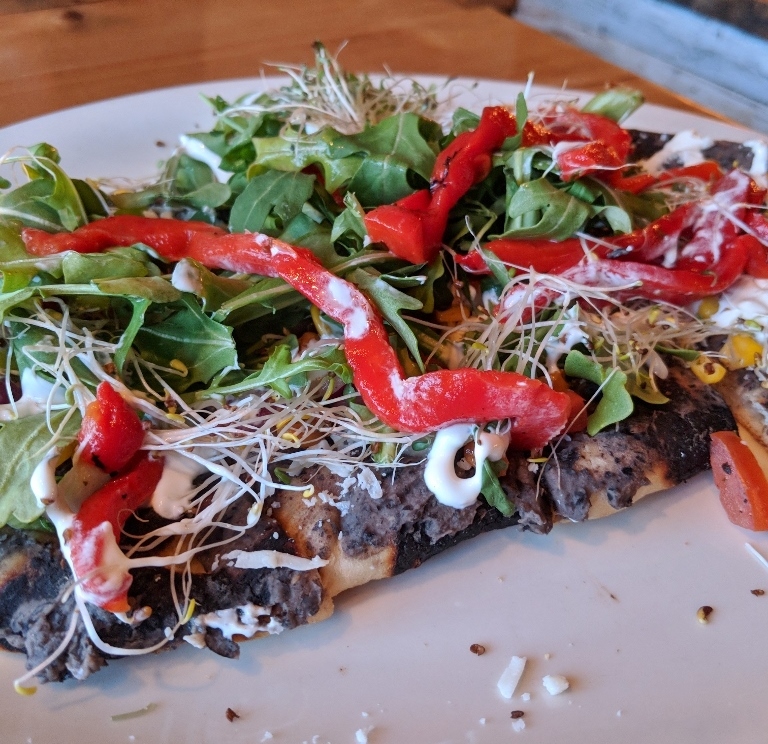 Jyll had the Mexican Flatbread. So so good! Both our entrees were ‘From The Streets’ selections. 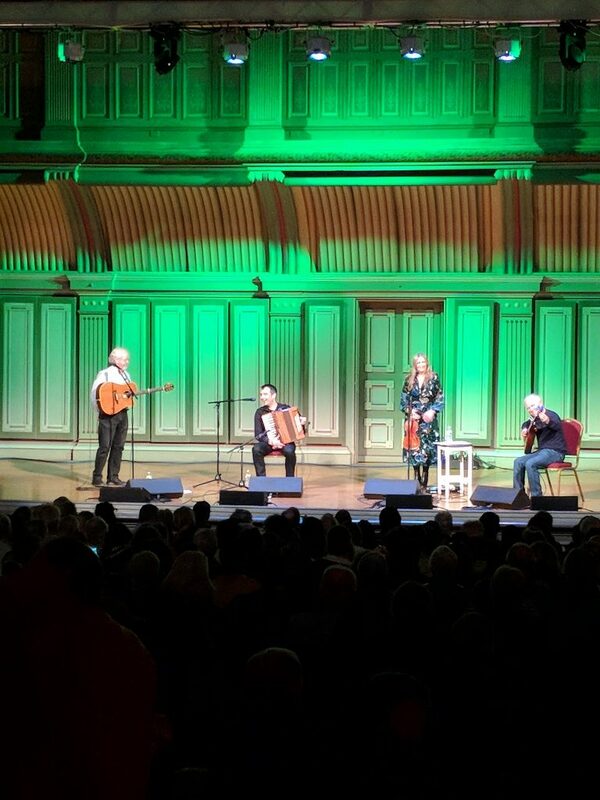 Now off to Troy Music Hall to enjoy Irish folk music performed by Altan, all the way from Ireland. Did I mention that this particular Friday just so happened to be the day before St. Patrick’s Day?? 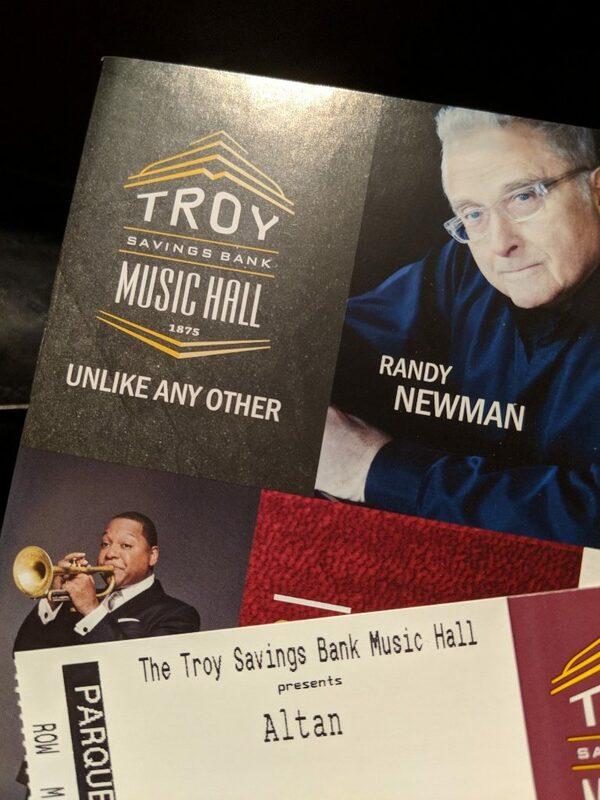 I hadn’t been in Troy Music Hall for a performance since Justin played in one of the local youth symphony orchestras. I forgot about how wonderful the acoustics are.